We have designed this 12 night/13 day experience both with comfort and authentic experiences in mind. Most nights will be in three-stay hotels, two nights will be in authentic family farm house home stays. Our last night will be in a five-star hotel. 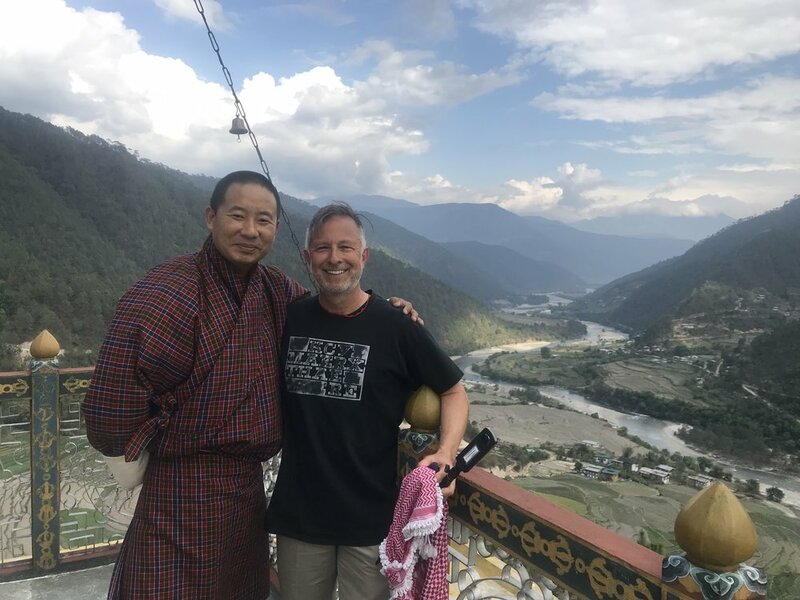 Dorji, our Bhutan tour operator partner, is originally from a small town in Eastern Bhutan, Phongmey, and has a background in environmental conservation. From 2000-2004 while Dorji worked as project coordinator for the Guinness-recognized Bhutan photo-documentary "Largest Book in the World" with Mark's MIT Media Lab colleague Michael Hawley, he became a proficient project manager and digital photographer as he coordinated five expeditions across the breadth and width of Bhutan. 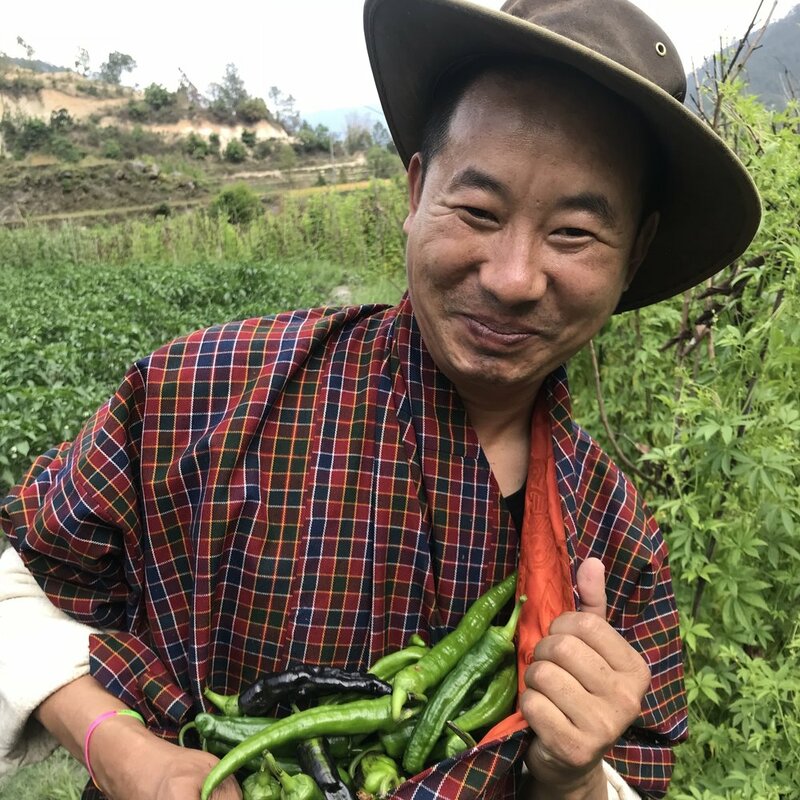 He later worked for the Bhutanese royal family and helped to coordinate a 140+ Bhutanese delegation to the 2008 Smithsonian Folk-life Festival in Washington D.C. Aside from being our licensed Bhutan guide, Dorji works as a program officer for the Bhutan Trust Fund for Environmental Conservation (the world's first environmental trust fund), and as CEO / co-founder of Thunder Dragon Chilis. You will start your journey visiting the National Museum (Ta-Dzong). Once the watchtower for the Rinpung Dzong (Fortress), it was converted into the national Museum in 1968 (one of the best museums of Asia). The museum stands on a promontory overlooking the Paro valley in all its glory. Day 02: Fly to Yongphula . Afternoon: Trashigang Tshechu( festival). Overnight in Lingkhar Lodge. Afternoon: Local hike, Overnight in Lingkhar Lodge. Afternoon visit to Phongmey school and overnight in local village home. After early breakfast, drive to Merak. Merak-Sakteng stands out because of its scenic beautiy and the unique semi-nomadic lifestyle and culture of its inhabitants. 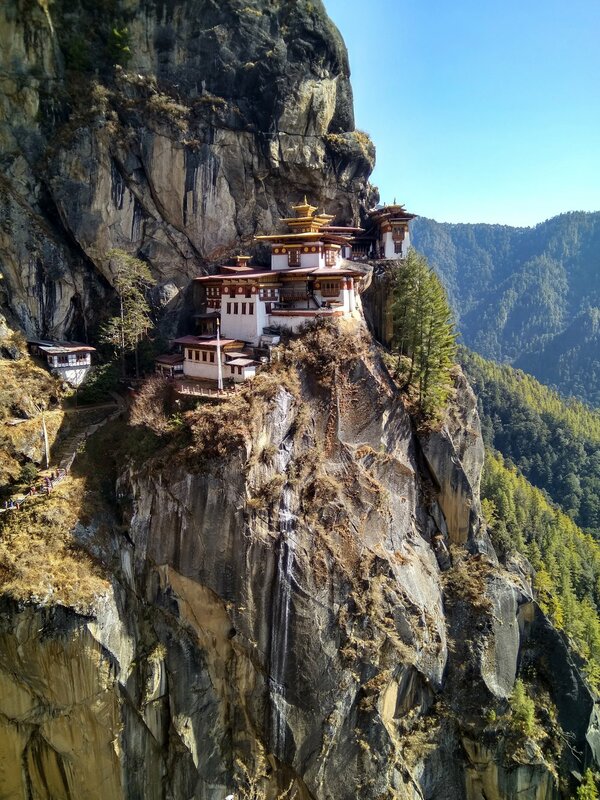 It is within the protected Sakteng Wildlife Sanctuary in Trashigang Dzongkhag (District), in Eastern Bhutan. After picnic lunch, drive back to Trashigang. Overnight in Lingkhar Lodge. After breakfast, drive to Mongar. Evening in a farm house in Lingmethang. After breakfast, drive to Bumthang. Overnight in Swiss Guest House, Bumthang. 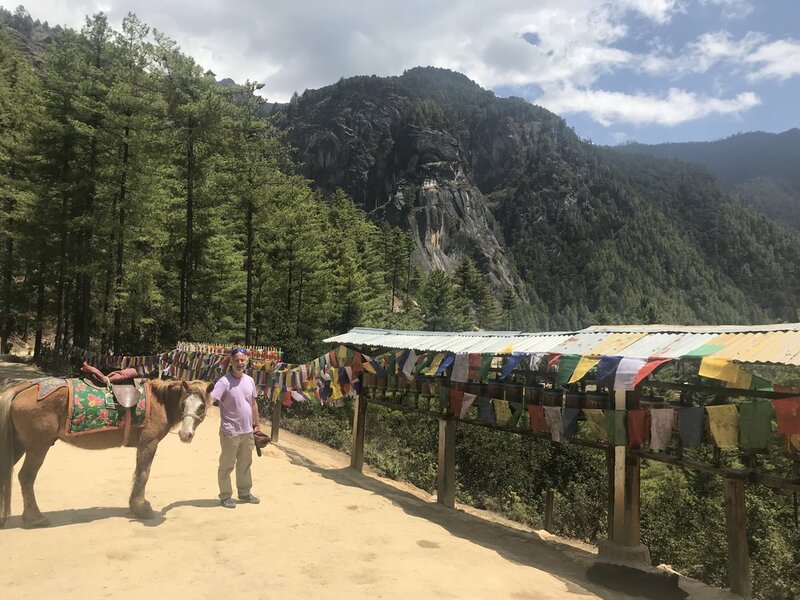 Various sightseeing in Bumthang. Overnight in Swiss Guest House, Bumthang. After breakfast, drive to Phobjikha valley. Overnight in Gakiling Guesthouse. After breakfast, visit black necked crane center and drive to Punakha to visit Punakha Dzong, “Palace of Great Happiness”. Punakha Dzong is the former winter capital and at present day hosts the administrative seat of the district. The Dzong lies between two rivers, the Pochu and Mochu, Male and Female River and the Fertility Temple and evening a gentle hike to Khamsum Yuelling Chorten. Overnight at Drupchu Resort Hotel, Punakha. Start early and head off to the beautiful Dochula pass at 10,000 feet, around 1 hour away from Punakha. The pass is a popular location among tourists as it offers a stunning 360 degree panoramic view of Himalayan mountain range. The view is especially scenic on clear, winter days with snowcapped mountains forming a majestic backdrop to the tranquility of the 108 chortens gracing the mountain pass. En-route stop in Thimphu to visit the Largest Buddha and Textile museum in Thimphu.